the domain name - pasquier.nom.fr - belongs to family PASQUIER, in accordance with the standards of naming of the AFNIC. 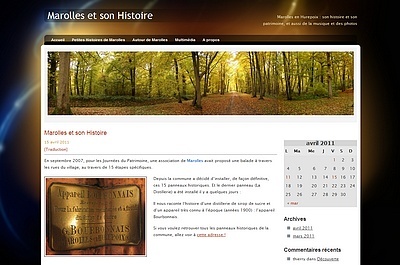 The family Web site, where, in more of information on the family, near or remote, you find information on Marolles in Hurepoix, and its area Hurepoix, and of information on Saint Genest d' Ambière, and its area Poitou. Blog Pasquier accessible to all! A space of information on the small ones and great stories of Marolles in Hurepoix, and also my photo albums and music of one impassioned.